A Day with David Wilson at the beautiful Elevation Place in Canmore, Alberta. Sunday, April 13. 1:30-4:30 p.m. 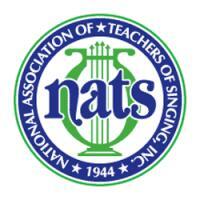 This workshop is free to NATS Calgary members, however, registration is open to other members of our voice community. For more information, email calgarynats@gmail.com. Congratulations to NATSAA Intermountain Regional Winner, Rachel Goldenberg!